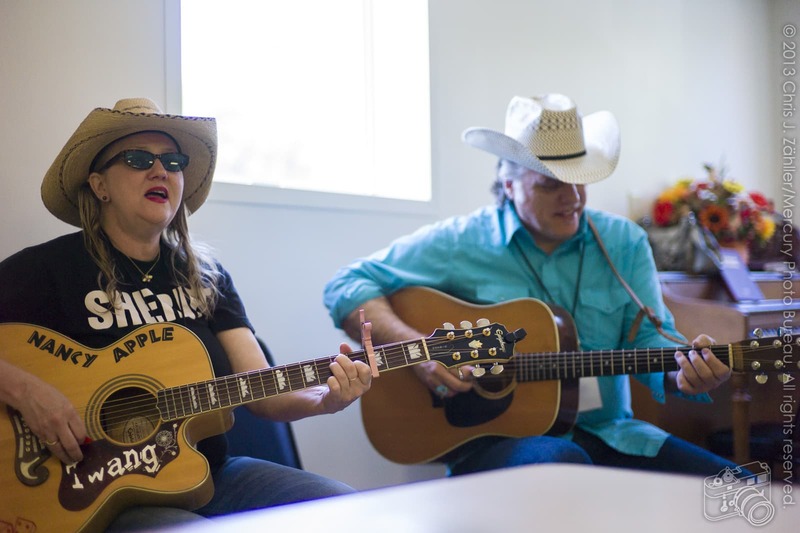 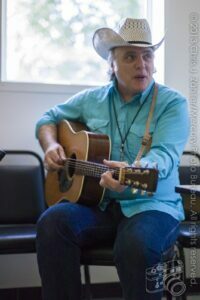 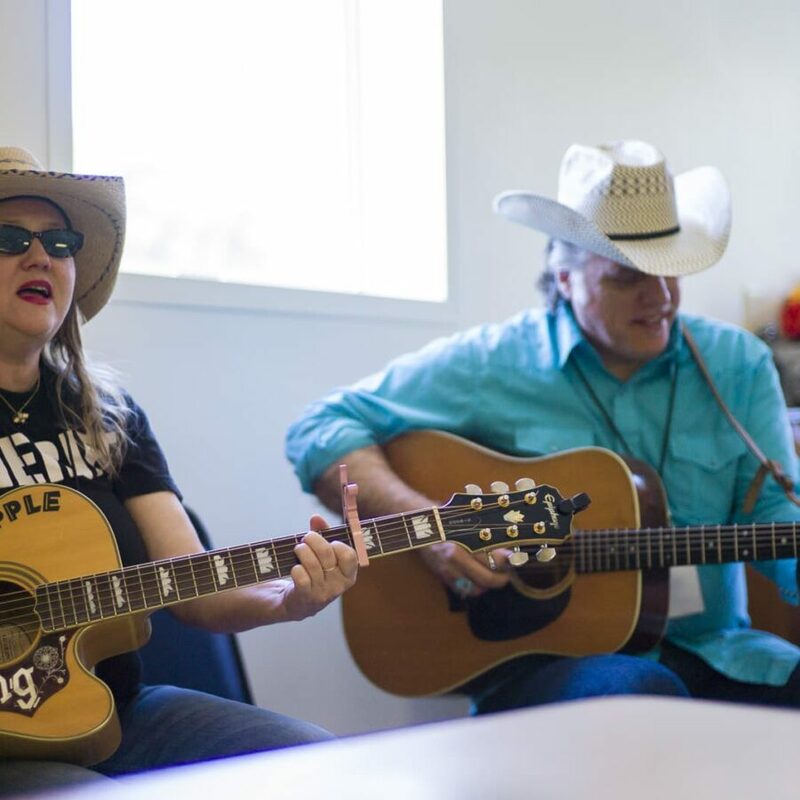 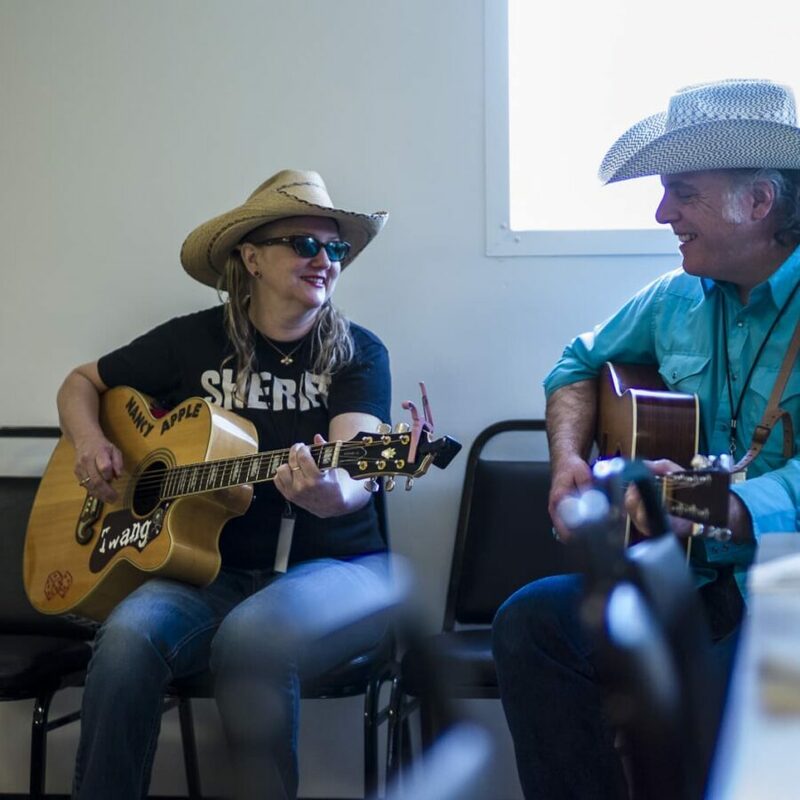 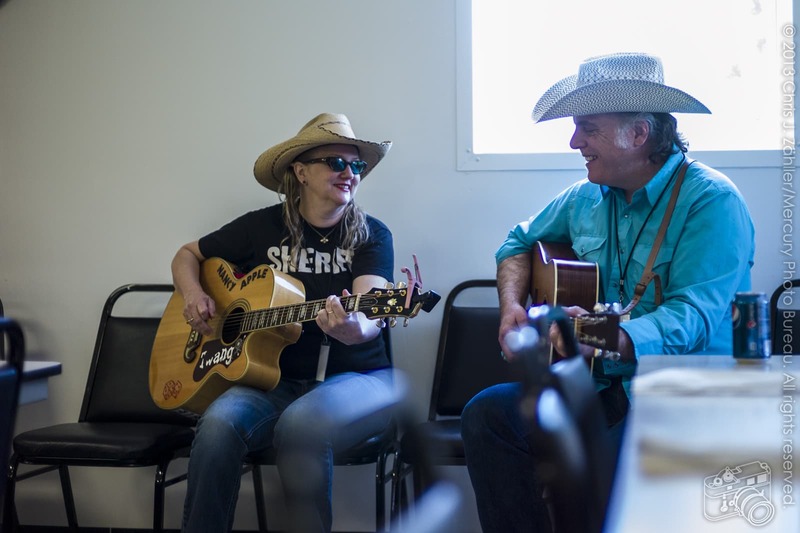 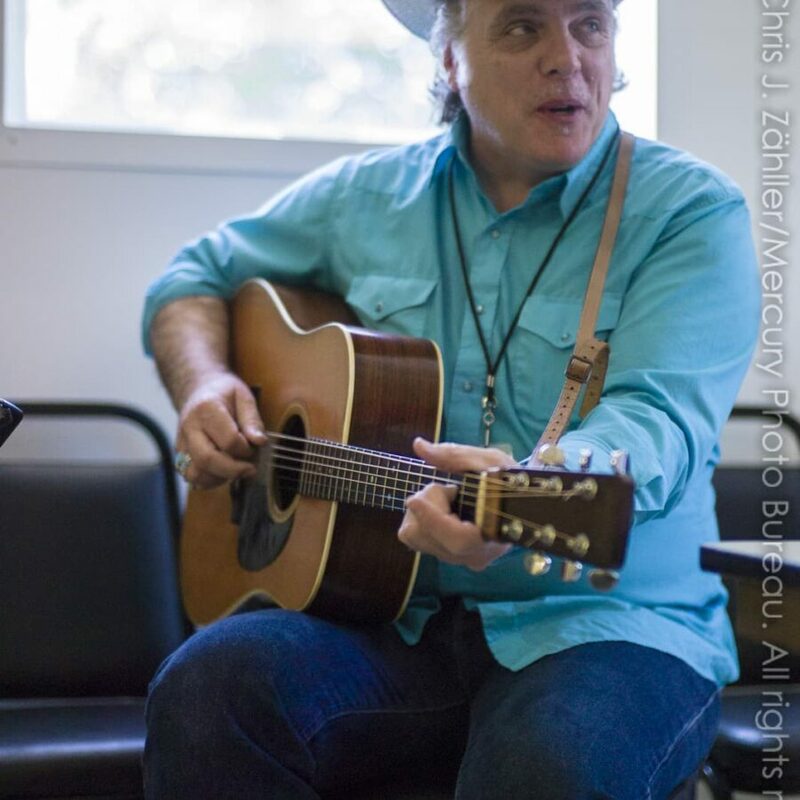 Princess of Twang Nancy Apple and coun­try trou­ba­dour Rob McNurlin are are almost as famil­iar to Woody Guthrie Folk Festival reg­u­lars as fes­ti­val house band The Oklahoma Geniuses; wher­ever you look, they seem to be there. 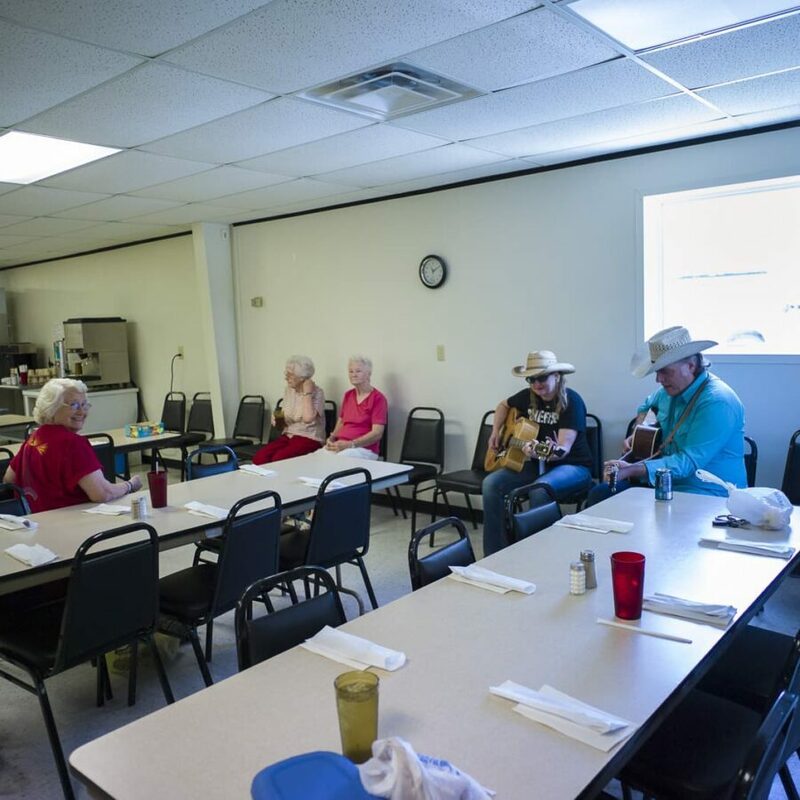 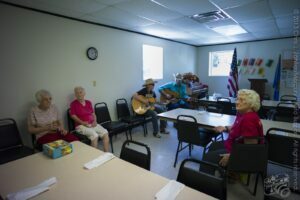 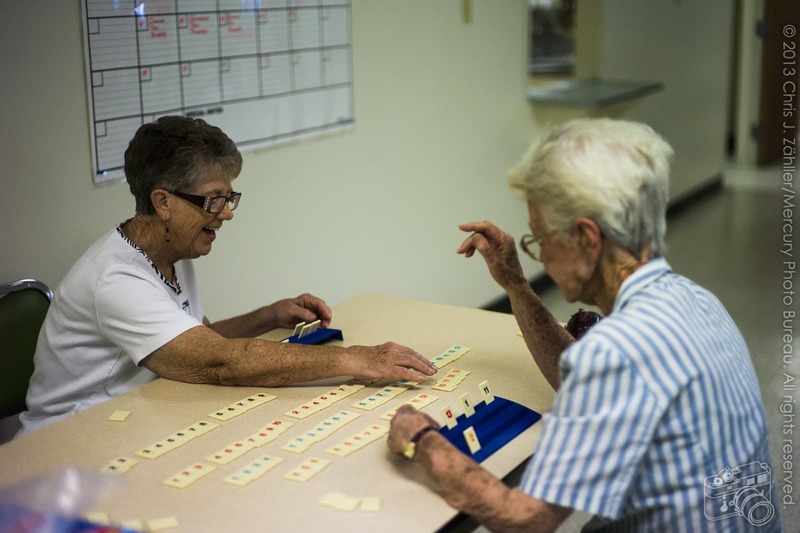 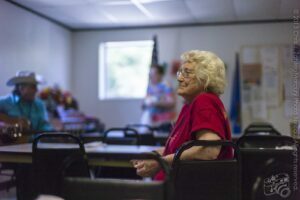 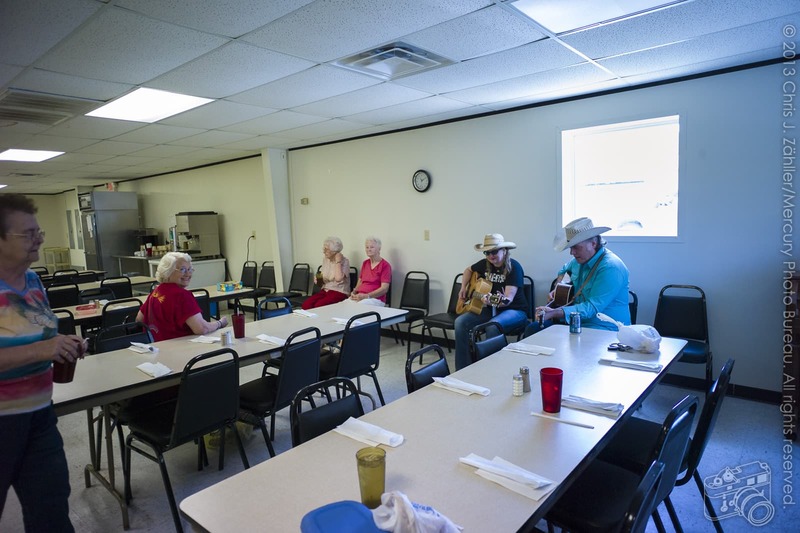 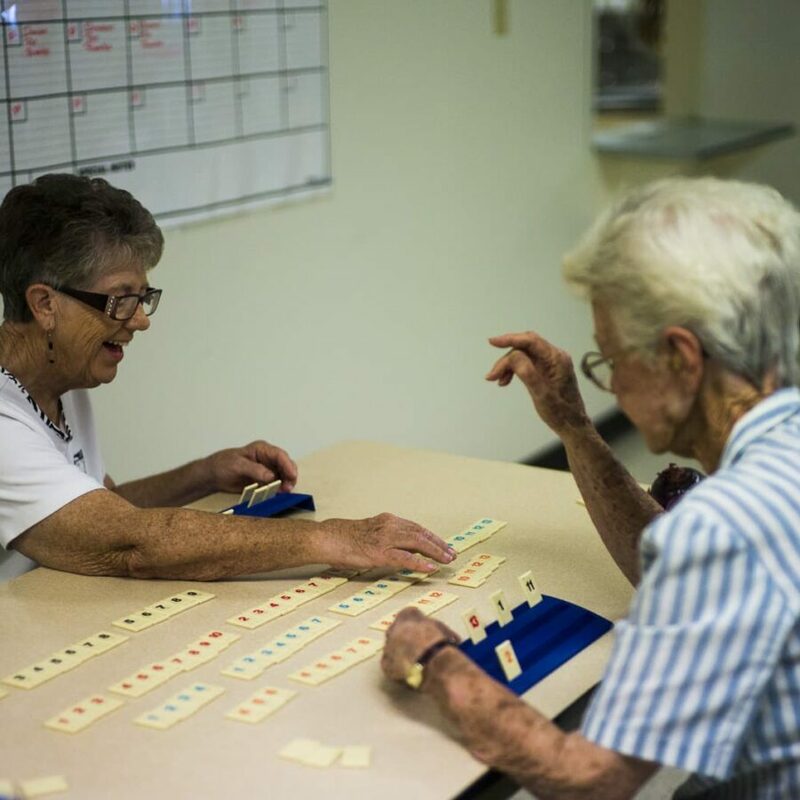 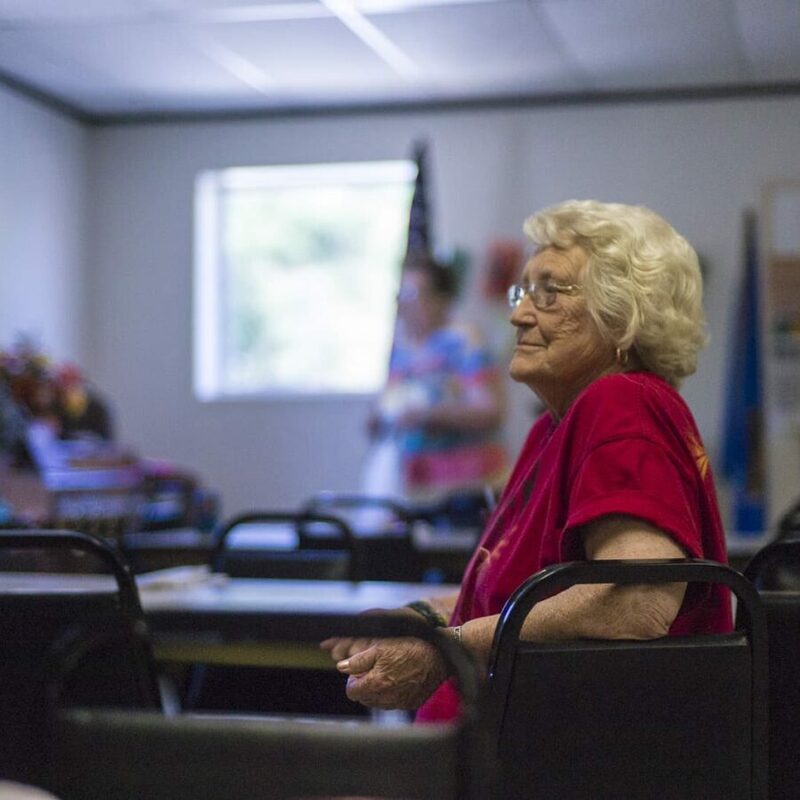 Senior cit­i­zens at the Okemah Nutrition Center were ser­e­naded by the pair dur­ing an after­noon con­cert this past July while the fes­ti­val was in full swing. 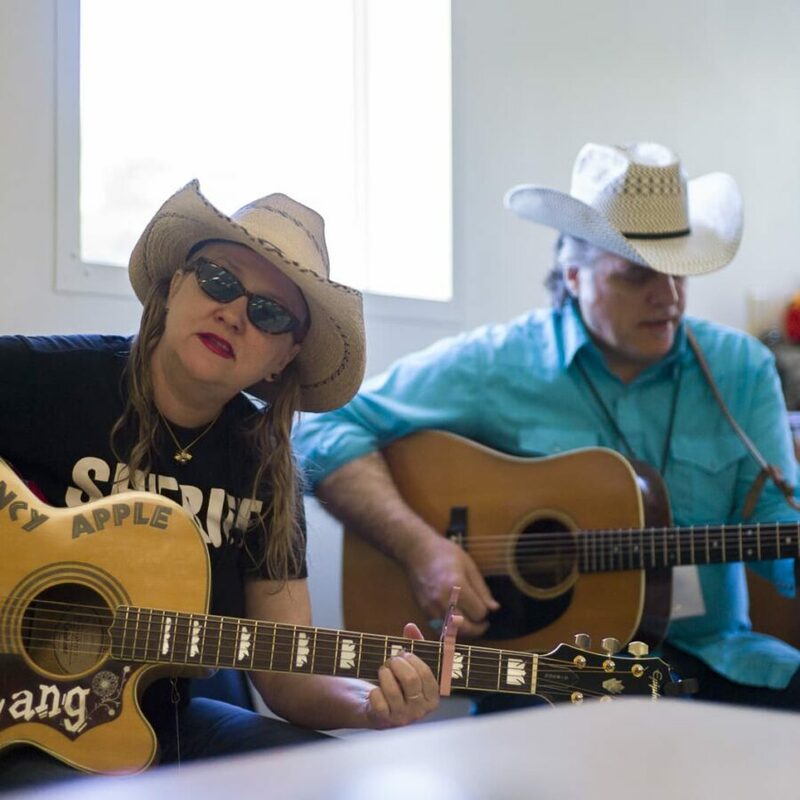 And swing this pair does, and rocks and rolls, and sweet-by-and-bys, with a reper­toire deep and rich in American ver­nac­u­lar music. 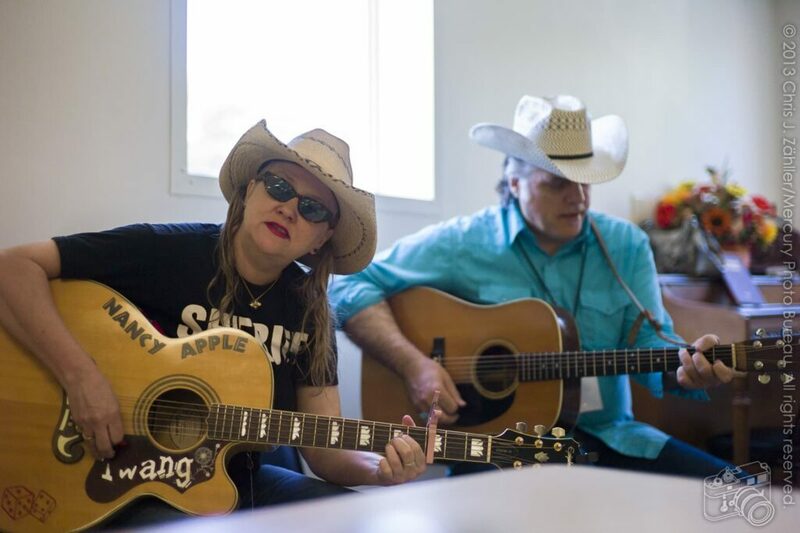 Apple and McNurlin are used to play­ing with one another — heck, they recorded an album together in 2005 — and it shows in their laid-back per­for­mances. There’s a lot of smil­ing and laugh­ing as they trade licks, but then they jump into a vocal har­mony and the room gets still at their earnest rev­er­ence. 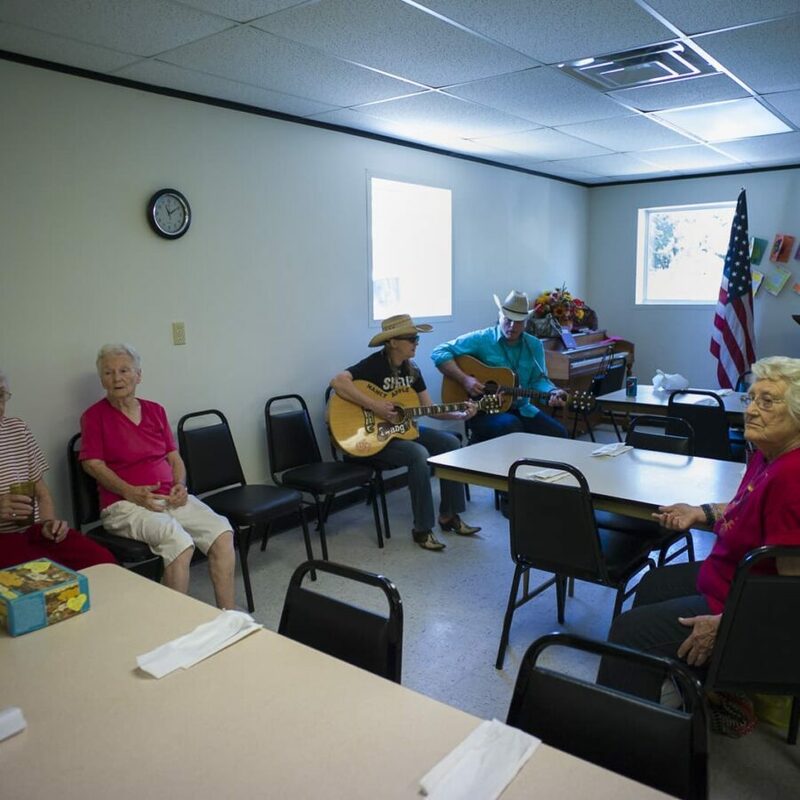 Music is sacred, even when it’s about cat-head bis­cuits and gravy.